We’re loving #CALMYOURSPRAY by Sid & Jac, Australia’s newest and chic magnesium brand that supports your mind and muscles. 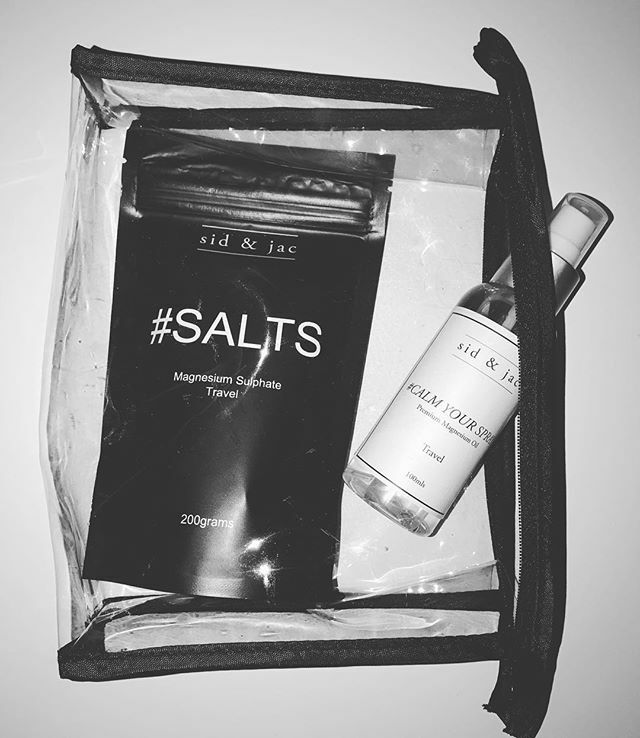 Delivering the ultimate strength magnesium Sid & Jac is a brand dedicated to supporting general health and wellbeing with #SALTS and #CALM YOUR SPRAY. These are the perfect pressies for all the busy bodies you know! The benefits of the daily use of magnesium is relatively unknown and misunderstood. The daily use of magnesium creates; more energy, a calmer and less anxious mood, improved sleep, relaxed muscles and less body aches and a reduction of body cramps. Epsom Salts, scientifically known as hydrated magnesium sulphate can poorly be digested by the stomach, research suggests soaking in a bath with high-quality magnesium sulphate can increase your magnesium levels. Sid & Jac have sourced the most natural state of magnesium sulphate originating from the earth in Germany and not synthetically manufactured like other brands. Whether you suffer from muscle aches, stress or a lack of energy, top trainers and wellness gurus recommend soaking in Epsom salt baths to help improve sleep, relieve muscle pain and help you feel better. Created by Sisters Tanya Smith and Jacqueline Smith, who together wanted to help others to discover natural and positive life changes through simple products and Mother Earth, the brand was born and named after the late Sidney & Jack (grandfathers to the sisters). “We decided to go in search of healing inspiration that could help everyone and every age. Through sport and family education and direction, Magnesium was always the first port of call and a natural product that has significantly assisted us both through the years,” said Jacqueline. “Through using the Sid & Jac products, we both want our customers to feel the way my sister and I feel when we are together, happy, silly and confident that being great people we can be role models to other to live a happy and kind life. With health comes positivity and strength and using magnesium naturally supports and creates these benefits,” she said.